How Do We Stay Ahead of the Other Glass Shops in Calgary? Although glass, mirrors, and custom frames represent a fairly specialized slice of the home improvement business, well-traveled customers will know that there are a couple of other glass shops in Calgary. So, given that we’ve often been referred to as the leading glass shop in Calgary, how do we maintain our place? Part of it is obviously reputation – we’ve been doing great things for our customers for a long time (including lots of professional builders and interior designers), so it’s only natural that word has spread. Plus, we have a selection that most other glass shops in Calgary can’t come close to matching. 1. 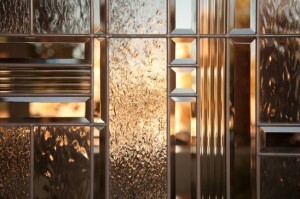 A focus on quality glass and mirror products. A lot of major retailers sell low-priced “cookie-cutter” glass and mirror products. While a lot of our selection is just as affordable, we make a point of only selling the best to our customers. 2. Custom glass and mirror production. Sometimes, what you really want is something that isn’t available off-the-shelf. When that’s the case, you want a glass shop in Calgary like ours, that can reduce custom glass, mirrors, and frames to meet your needs. 3. A team of committed professionals. We have always felt that service can’t take a backseat to anything. So, every member of our team is committed to making us the friendliest, most helpful glass shop in Calgary. We don’t think it’s good enough to get by on reputation alone, so we encourage you to visit other glass shops in Calgary so you can see the House of Mirrors difference for yourself. We didn’t become the leading Calgary glass shop by accident, and we are willing to bet that you’ll return to see us time and time again.